When my daughter was three, I noticed she was protruding her tongue slightly when pronouncing a soft ‘g’. At first it seemed sweet, but months went by and I began to worry. It wasn’t affecting the sound she made, but the maneuver looked unnecessarily difficult. What if it became permanent? Shortly afterward, I happened to be in the company of a speech pathologist. I know you’re not supposed to bother professionals in social situations, but I hesitantly asked for advice. Was I silly to be worrying about my child’s speech when she was so young? She recommended that my daughter be assessed. exercises. After just six or seven weeks of doing the simple drills together, and only two more sessions with the therapist, my daughter had mastered the ‘correct’ way to make the soft ‘g’ sound. Problem solved! Suzanne Martin, a speech-language pathologist in Toronto, says that communication skills begin early – well before a child goes to school or even nursery school. She says that they begin to develop long before we hear a child’s first words. She emphasizes the importance of early intervention. Corinne Burgess, a speech-language pathologist in St. John’s, agrees. After all, we know that children progress at different rates and will reach different stages at different times. Suzanne Martin suggests parents refer to the following chart from the website of the Canadian Association of Speech-Language Pathologists and Audiologists for a rough guide to some developmental communication milestones. It’s a good guide. And it’s a start. When is it too early to seek help from a speech pathologist for your child? “Almost never,” says Suzanne Martin, a speech-language pathologist in Toronto. “If you have any concerns at all, have an assessment done. Even if the evaluation indicates your child is where he should be, a speech-language pathologist can give you pointers on how to continue to encourage further development, and what to look for to make sure things stay on track. “Sometimes parents don’t try to address their children’s speech difficulties until they are much older. But speech patterns become habitual, and changing an error that has been made for several years can be challenging. “If therapy is recommended be prepared for homework. A weekly session is usually not enough to result in change. Regular practice will be required. 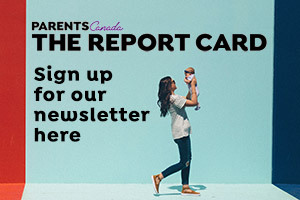 So, along with the tips suggested by Holly Ross and Margo Hand, how else can parents know whether or not their child might benefit from an assessment? have different cries for different needs? soothe/calm to a familiar voice? babble and make different sounds? turn his/her eyes toward a sound source? respond to music or toys that make noise? let you know what he/she wants, using sounds and actions like pointing? begin to follow simple directions (e.g., Where is your nose?)? localize correctly to sound by turning his/ her head toward the sound? pay attention when spoken to? use common words and start to put words together? look at your face when talking to you? understand more words than he/she can say? say two words together (e.g., More juice)? ask simple questions (e.g., What’s that?)? take turns in a conversation? use sentences of three or more words most of the time? understand different concepts (e.g., in versus on; up versus down)? follow two-part directions (e.g., Take the book and put it on the table)? answer simple questions (e.g., Where is the car?)? tell a short story or talk about daily activities? talk in sentences with adult-like grammar? generally speak clearly so people understand him/her? hear you when you call from another room? listen to TV at the same volume as others? answer a variety of questions? pronounce most speech sounds correctly? participate in and understand conversations even in the presence of background noise? recognize familiar signs (e.g., stop sign)? hear and understand most of what is said at home and school? listen to and retell a story and ask and answer questions about a story?